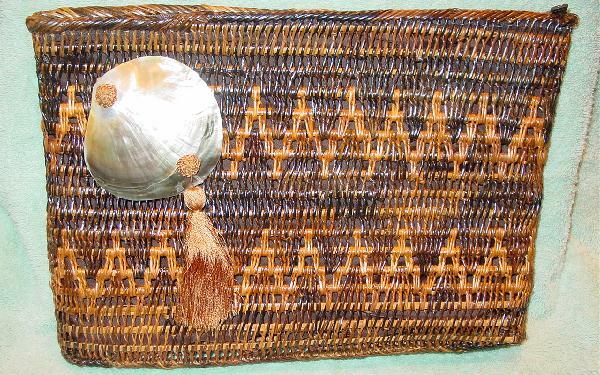 This vintage straw purse is by Mr. Ernest and was made in the Philippines. 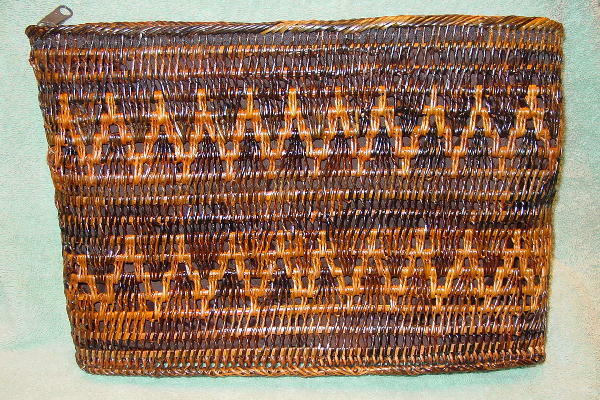 The open straw weave is in dark brown, medium and light brown, and an orangy-tan. It has a top side to side zipper with a full brown (feels like acetate) lining. The lining has a side open pocket. The exterior has a large shell on the left top corner (the shell is prettier in person - the flash blurs out the detailing) with two burnt orange woven circular accents with a long 4" tassel extending downward from the bottom.